Mr. Schwenk graduated with Honors from the University of Maryland School of Law and was the recipient of the William P. Cunningham Award as the student who demonstrated exceptional service and achievement while at the law school. He was an associate with Ward, Kershaw and Minton, P.A, where he worked in complex civil litigation. From 2001 through 2009, he was a member of Lochner and Schwenk, LLC, where he focused on riparian rights, marine businesses, vessel tax and transfer and trial work including torts and contracts. He started Baylaw, LLC in 2010. Mr. Schwenk is a member of the Maryland Bar and bars of the Federal Court for the District of Maryland, and the 4th Circuit Court of Appeal. He is the author/editor of Preparation and Trial of Tort Claims, Chapter 11 of the book Practice Manual for the Maryland Lawyer as well as many articles on riparian rights, vessel excise tax and other issues in admiralty and waterfront law. He presented on Marina Liability at the International Marina Conference, 2005, and was a 2005 Outstanding Service Award winner from the Marine Trades Association of Maryland. He presented on the interplay between marina contracts and traditional tort theories for the Mid Atlantic Mariners Club in 2007. 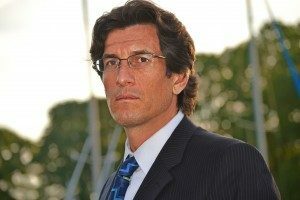 His current cases include waterfront property disputes, admiralty and maritime law, personal injury, insurance coverage, and vessel excise tax. He is a Certified Marine Investigator through the International Association of Marine Investigators, a member of the the Mid-Atlantic Mariners Club and the Marine Trades Association of Maryland. He is a Maryland licensed yacht broker. Mr. Schwenk is a member of the Severn Sailing Association, where he sails J-24s and Jet-14s with his wife Stefanie. He is a past President of the Jet 14 Class Association, and the 6 time Chesapeake High Point champion in that class. In his remaining free time he is the father of two sons, plays basketball and Ultimate Frisbee, and writes and records acoustic music. For immediate response when emailing, please use the subject, "WFL PRIORITY INQUIRY."